Leather upper with man made sole. Side zipper closure. 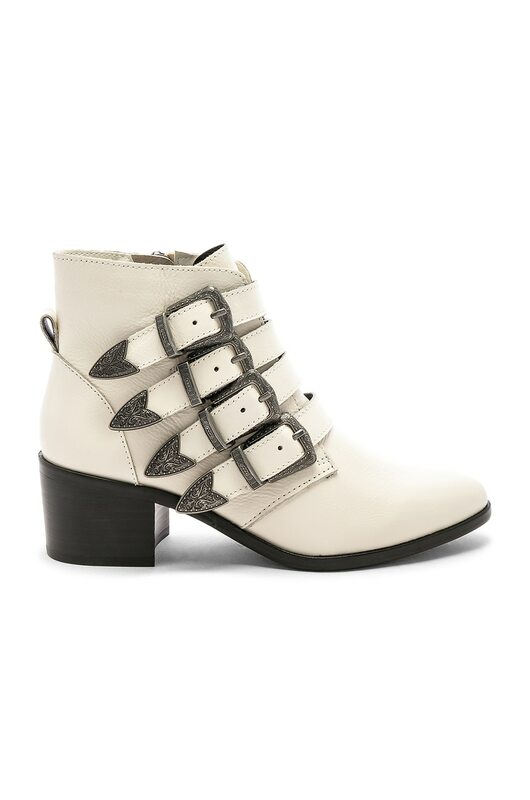 Buckled straps with filigree detail. Heel measures approx 2" H. Imported. SMAD-WZ451. BILLEY. In 1990, Steve Madden created his widely known brand with the little money he had in his pocket. Steve Madden paves the way for unique men and women to articulate individuality through the beauty of his shoes.